Even for your average gamer, the music from classic games like Super Mario Bros.or Halo can trigger nostalgic reveries, conjuring memories of endless hours spent fighting to save Princess Toadstool or decimating alien hordes. But those songs elicit far more complicated reactions from a small but growing band of scholars who specialize in videogame music. When these so-called ludomusicologists hear selections from the sonic oeuvres of Nintendo or Bungie, they detect strains of creative genius on a par with Tchaikovsky’s allegros. And they’re on a mission to ensure that videogame music is accorded the same respect as Hollywood film scores, which are now much studied by academics. Years later, in the course of earning his PhD in music theory at the University of Michigan, Reale wrote a landmark paper on how the music in Katamari Damacyaffects gameplay. (Sample line: “The opening section has a sostenuto feel with few rhythmic or metric cues to the meter; the guitar is suspended in mistlike alternation between B7sus4 and E?9 over a pedal e.”) Now an assistant professor of music at Youngstown State, his presentation this weekend will focus on how the music in Portal 2 mirrors the game’s puzzle-solving strategies. The Youngstown conference’s most-discussed game music will be the score for the steampunk-infused Bioshock Infinite, one of the most musically innovative games in recent years. It eschews a traditional score in favor of haunting, anachronistic covers tinged with irony. 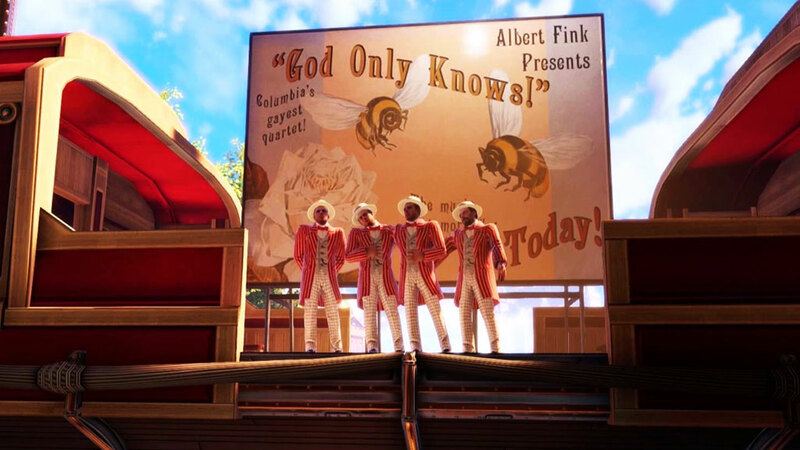 A barbershop quartet version of the Beach Boys’ “God Only Knows,” for example, exudes an air of quiet menace that hints at the terror soon to come. There is also a warped, tinny take on a Chopin nocturne that pops up in a scene where malevolent tycoon Jeremiah Fink interacts with his abused employees. “It’s supposed to be used as work music, but Chopin is totally wrong for that—it doesn’t have that steady beat,” says Sarah Podzerac-Chenevey, a graduate student in music theory at the University of Cincinnati who hopes to write her dissertation about videogame music. “Then I realized, the way the music was being stripped of its rubato, what it does is it reflects how Fink is stripping his workers of their humanity.” She will talk about that strategic butchery of Chopin at the conference, as well as the lyrical choices that make the game’s version of “Will the Circle be Unbroken” evoke concepts of both heavenly bliss and earthly disillusionment. Reale is elated that his conference has not only attracted interest from academics, but also from Youngstown locals‐he’s fielded plenty of calls from parents interested in bringing their game-obsessed kids. If any of those kids do show up, however, they may quickly discover that listening to professors hold forth on “hybridity,” “diagesis,” and “modular smoothness” is a great deal less enchanting than anything on Xbox One. Introducing 'The notAgame Collection' - Original Videogame Music inspired by your favourite VG Soundtracks! Next Generation of Videogame Music! Top 10 Videogame music for the gym.